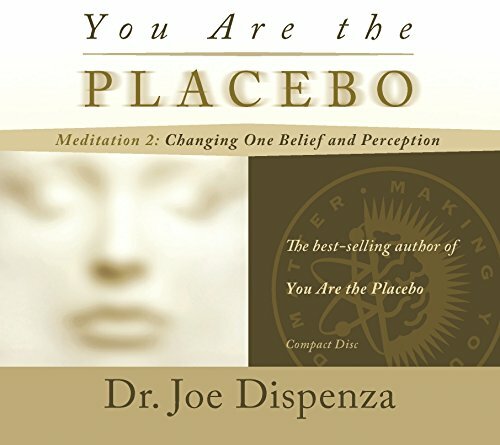 Dr. Joe Dispenza has created two meditation CDs—featuring different music—to accompany his book You Are the Placebo. On this shorter 48-minutedisc, Dr.Joe walks you through Meditation 2: Changing One Belief and Perception. After introducing the open-focus technique, he then moves you into the practice of finding the present moment. When you discover the sweet spot of the present moment and you forget about yourself as the personality you have always been, you have access to other possibilities that already exist in the quantum field. That’s because you are no longer connected to the same body-mind, to the same identification with the environment, and to the same predictable timeline. In the present moment, the familiar past and the future literally no longer exist, and you become pure consciousness—a thought alone. That is the moment that you can change your body, change your environment, and even create a new timeline for your life!